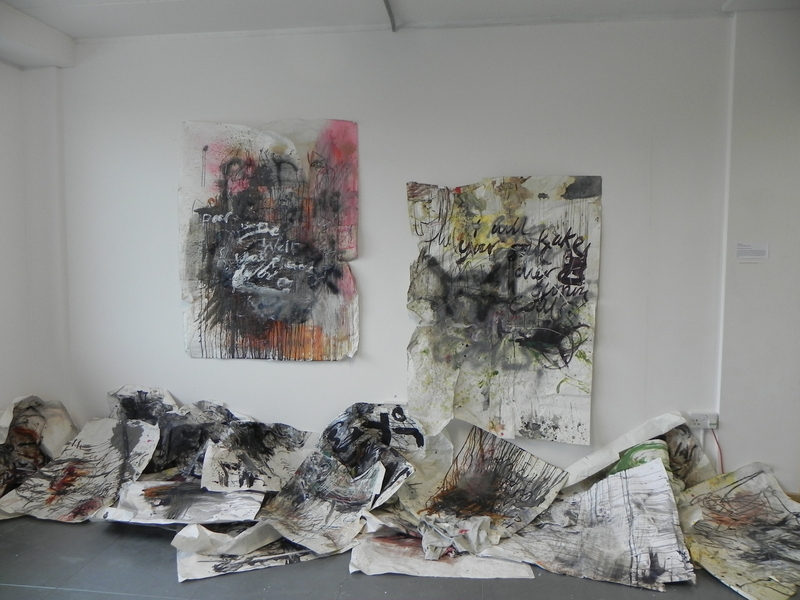 The Degree and Diploma Exhibition at Sussex Coast College finishes tomorrow. Come along. I will be invigilating between 4.00 and 6.00 today; it would be nice to meet you. We are on the 4th and 5th floor. 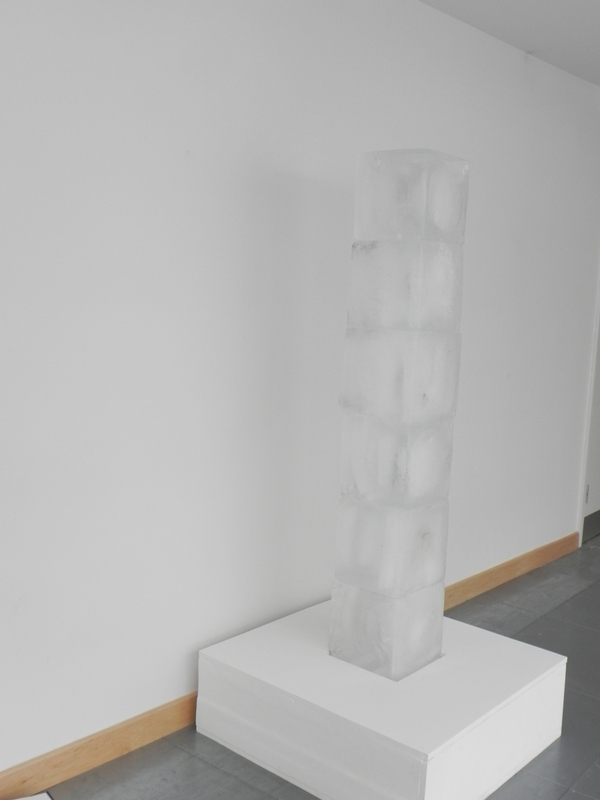 Sadly it is unlikely that you will be able to see Julia Mitchell’s ice sculpture. It was doing fine on Friday, the night of the private view, but even though it must be one of the coldest June on record, not cold enough to keep it from melting. 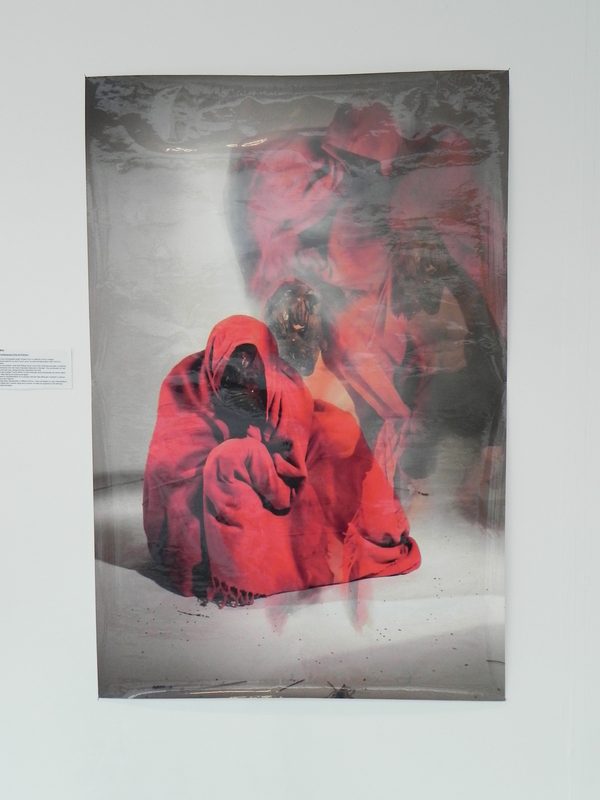 This work was extraordinary because of the way it changed before your eyes. Opaque to begin with, as the melting process started you could see further and further into the ice cubes and see the memorial that she had set inside. I have written about performance art; this was an artwork that did its own performing. But there is plenty more to see. I particularly like Adam Gibrelli’s drawings. We have been blessed with two Adams on the course. 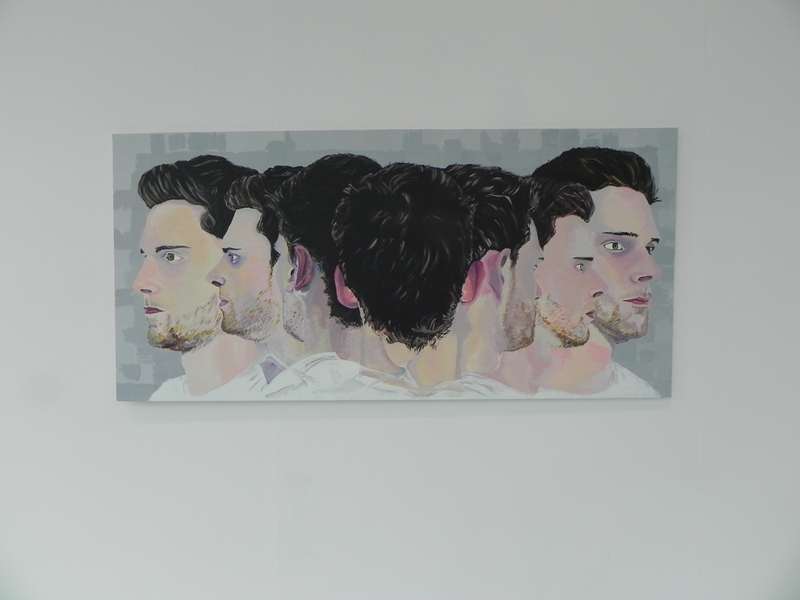 I also liked the work by the other Adam, Adam Fairbrother, a self-portrait. 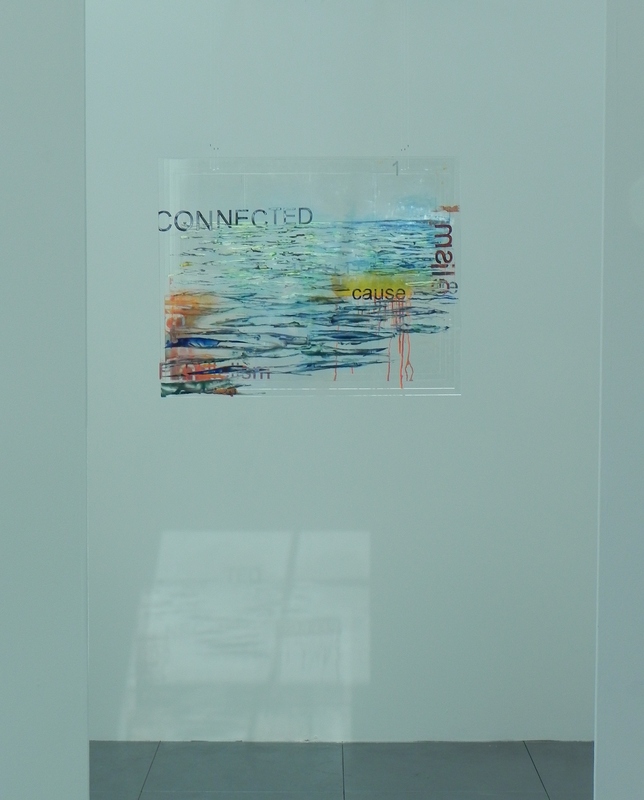 Katy Oxborrow’s painting on perspex is interesting in the way that it projects light on to the surrounding walls. I really liked Alex Mills’ take on Grimm’s fairy tales; it would be nice to see more of them. 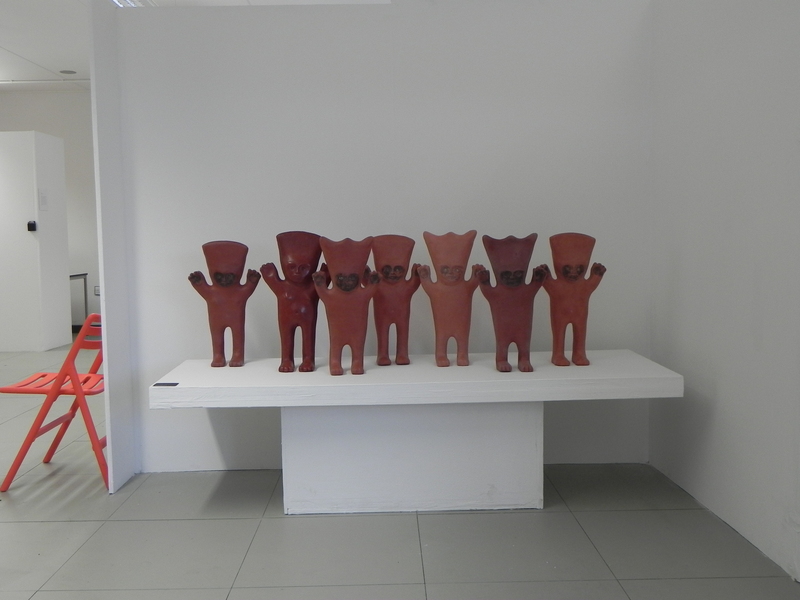 Among the craft students, I was impressed by Phillippa Haines’ strange manikins. 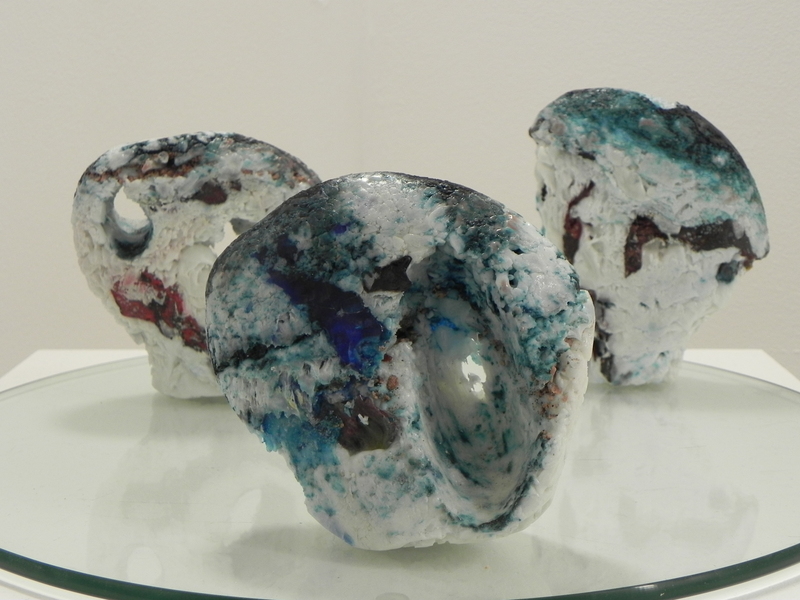 and the glass sculptures by Isabelle Moriaty. 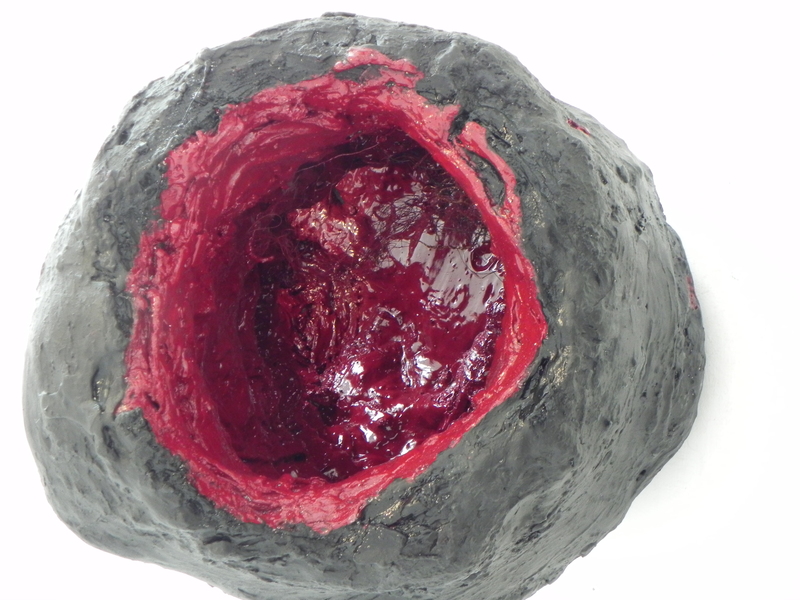 You might also have a look at my work, shown here is the inside of Orifice 3; there is more about that in the last post.